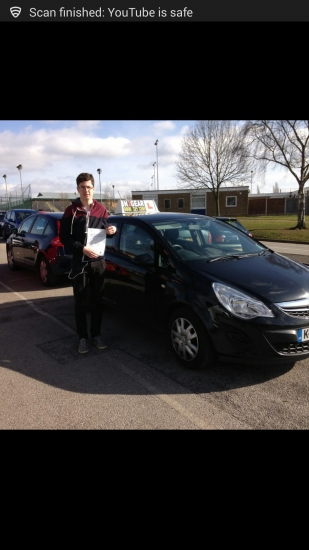 Toby passed with Steve Lloyd on 6/3/15! Well done! Toby says "During my time at in 2 gear I have enjoyed the whole experience. My teacher (Steve) was thorough with his explanations and allowed me to steadily progress to test standard and pass first time. There are also resources on the website which help for the theory test as well as the show me tell me. Overall I enjoyed my experience with in 2 gear and would recommend it for any new driver".